1. Sell old clothes. As the stores begin to introduce their Spring and Summer lines it’s hard to resist purchasing a cute new outfit or swim suite for your upcoming vacation. In order to keep your Spring Break budget intact, without sacrificing your style, consider selling your clothes at stores such as Plato’s Closet or Clothes Mentor. These stores give you cash for your used clothes up front. Or, consider taking your clothes to a local consignment shop where you can often exchange your last season items for store credit. In doing so you’re killing two birds with one stone, getting new clothes while clearing out the old ones! 2. Cut down on eating out. It’s often much easier to stop by the nearest convenience store on your way to and from class. However, that slice of pizza and bottle of soda that you buy every day for lunch can really add up quickly. Instead of going out for lunch and dinner, consider packing or making your food at home. If for some reason you must go out, pass the overpriced beverage and stick to the free ice water. Your wallet will be thanking you, and so will your body – just in time for the beach! 3. Make a budget and stick to it. When you aren’t committed to a budget, it’s incredibly easy to get sidetracked and wind up spending way more than you intended. When you have a specified budget, you can consciously track your spending and have a working knowledge of what you can and cannot spend. Setting up a budget in Excel, or using online tools such as Mint, will help you determine where to cut corners. I suggest getting out a limited amount of cash for the week rather than swiping your card all the time. This will force you to make smarter purchasing decisions. 4. 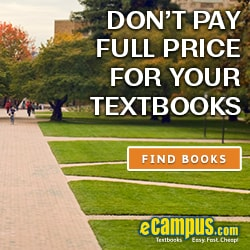 Sell back your old textbooks to eCampus.com. As the snow melts we often find ourselves making great attempts to rid our lives of old junk. Texbooks from semesters passed usually account for a large majority of clutter, and can help you rack up some extra cash. Instead of letting your textbooks collect another years worth of dust, you should consider selling them back. 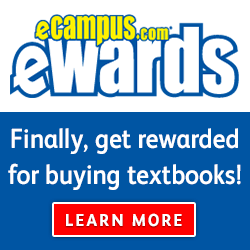 It is really easy – just go to www.ecampus.com and type in the ISBN to find how much your book is worth. If you are satisfied with the amount (I always am! ), just print off the prepaid shipping label and send it off to eCampus, and they take care of the rest! Within a couple of days you will receive a check in the mail, or you can get your check directly deposited to your account – it is that simple. It can be very difficult to cut back on spending when there are so many temptations surrounding you, but when you consider a week of pure relaxation, free from financial and academic stress, it is well worth it. What other money saving or money making tricks have you used? Good luck on midterms and safe travels to all! 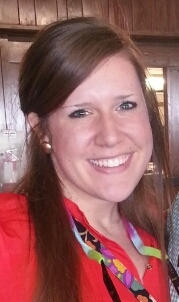 Michelle is a graduate student at the University of Kentucky, as well as an Online Marketing Intern at eCampus.com. She enjoys traveling, reading, knitting, and laughing. Her favorite tv shows include Friends, The Office, and New Girl, and she hopes one day her life emulates one of these shows!